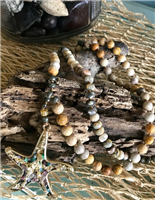 If you love spending time by the water, then what better way to show off your passion than with our nautical and sea life necklaces at Gone Coastal Jewelry? 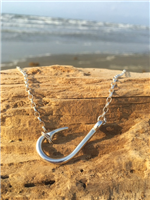 Showcase your love for fishing with a beautifully crafted nautical necklace featuring an anchor or fish hook. Love the beach? Choose from our beach necklaces, which feature fish, seashells and flowers. No matter which design you choose, our necklaces fully embody the excitement, beauty and peacefulness of coastal life. 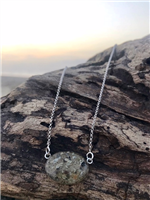 All of our jewelry at Gone Coastal Jewelry illustrates the finest craftsmanship and highest quality materials, including sterling silver, gold, natural gemstones and pearls, and is intended to last a lifetime. Our nautical necklaces pair flawlessly with our nautical earrings and bracelets. 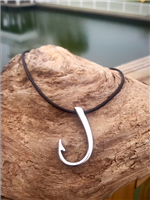 Browse through our large selection of fishing jewelry to find the perfect pieces for you or a loved one. Have questions about our products? Need help placing an order? Please contact us here, or call us at 713-927-1193 during our business hours. We look forward to assisting you!